BlackBerry 10 recently got FIPS Security Certification and we know that the BlackBerry 10 browser also scores pretty high in the HTML5 test. Now, the BlackBerry 10 has just passed another benchmark. The Ringmark Ring 1 test. First off, let's understand what Ringmark is. 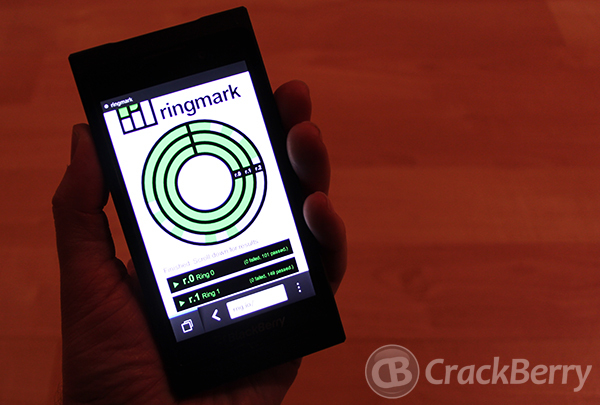 Ringmark is a test suite for your browser for apps built for the mobile web. It was developed by Facebook and went Open Source back in April. HTML5 is huge for web developers and mobile developers alike, so Facebook wanted to make sure there was a standard at which HTML5 apps should attain. It allows developers to understand "which mobile browsers support the functionality your app needs". What is the importance of Ring 1? Ring 1 is all about the functionality that developers need to unlock in order to produce the most advanced HTML5 apps - 2D games, music games, video games and camera apps. So, with the BlackBerry 10 browser successfully passing this Ring, you can be assured that you can develop apps with advanced functionality and the BlackBerry 10 browser will have no problem running them. If you have a Dev Alpha, why not give it try yourself. Just visit http://rng.io from your Dev Alpha browser and watch it do its thing.